She sees you, looking her up and down, your eyes traveling the length of her slender-by-society’s-standards body. She sees the sneer on your face, the slight look of disgust – or is it envy? – that flickers over your features. She sees you divert your gaze the moment her eyes meet yours. But you don’t see everything. You see the shadows, dips, and curves of muscle, the smooth sinew that flexes beneath her skin as she bends down to scoop her son up in her wiry arms. Not the constant repetition of numbers in her head, the oppressive reiteration that governs her day: counting pushups, counting calories, counting the miniscule cookie crumbs she allows herself to eat off her kid’s lunch plate, and the minutes she’ll have to work out to burn them off. Counting everything besides the things that really count. You see a narrow, delicate waist, resting above slightly protruding hip bones. Not the queasy stomach inside her, the one that is filled, not with food, but with the sickening feelings of self-doubt and insecurity. You don’t see the way she slips her hand beneath the hem of her shirt, assessing what her delicate fingers find there, pinching love handles that are as nonexistent as the love she shows herself. You see a “runner’s body,” bronze cheekbones, and a tan complexion. Not the inner voice that tells her she can outrun anything, even the demons that haunt her, telling her she isn’t – and never will be – good enough for anyone or anything. You don’t see the destructive thoughts in her head that she is so desperate to escape, or the sense of calm that overcomes her after a hard run, when the only feelings she’s left with are the burning in her lungs and the trembling in her quads. You see one of those moms, a woman who seemed to drop all the baby weight two days out of the hospital, who looks like she’s never carried any extra weight on her slender frame, let alone the weight of two children. Not the woman who cried through years of infertility, who struggled to get pregnant due to both a medical condition that was beyond her control, and fear that she knows should have been within it. You don’t see the conflicted heart, the one that nearly broke as it struggled to make peace with the cruel paradox: a body she hated, housing the children she loved. 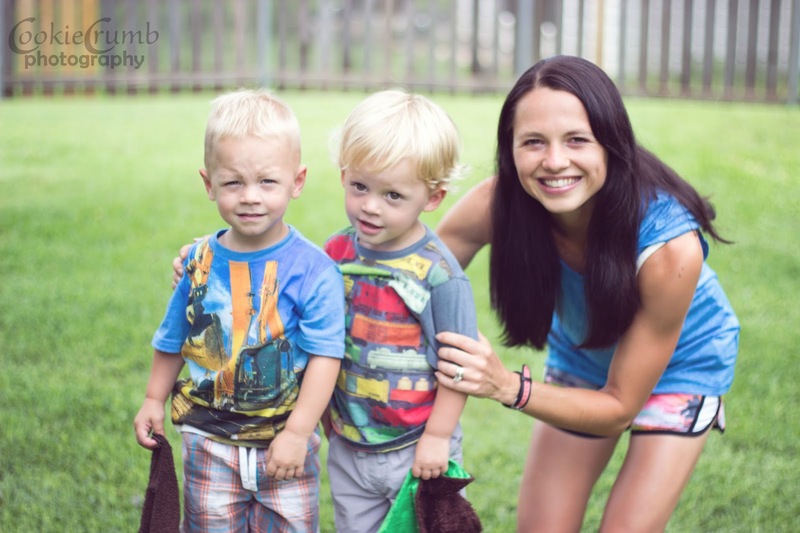 Not someone who questions every day whether she’s fit to be a mama. You see a toned body, someone who has the time and discipline to exercise regularly. Not the anxiety and panic she feels if she sleeps past 5:30 and fails to get a workout in before her kids wake up. You see a c-section scar that spans a flat stomach, resting beneath taut abs. Not the emotional scars left behind from an eating disorder that haunted her for years, and still rears its ugly head in her moments of weakness. You see her engaged with her kids at the playground, laughing as she scurries after them up the tube slide, her lithe body swinging freely as she chases them across the monkey bars. 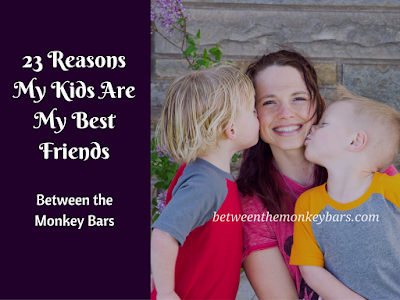 Not the dark places her mind goes to as she pushes her kids on the swings, or the guilt she feels for allowing it to go there. You don’t know that her time with them is always tainted because – no matter how hard she tries – she can’t just enjoy the moment. You see someone who’s lucky because she “doesn’t have to worry” about putting on a bikini when she takes her kids to the beach. Not the tears she sheds in private as she tries on a million different bathing suits, finally walking out of the store empty-handed, convinced that each one accentuates one of her many flaws. You see a size zero. Not someone who feels like one on the inside. You see someone who turns heads. Not someone who wishes she could disappear. But you don’t see her. Are you even really looking? How honest and real and brave. 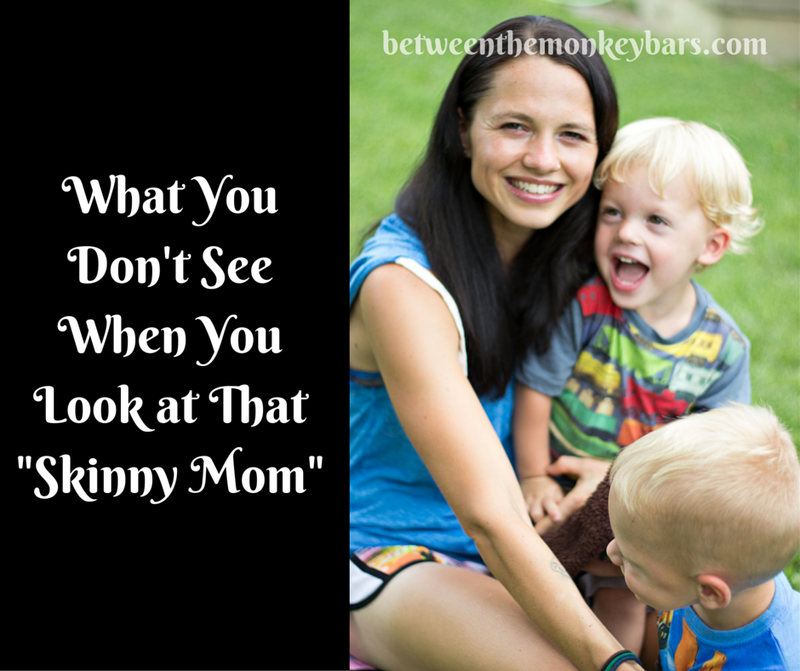 I struggled after having my first child with constantly dieting and working out. 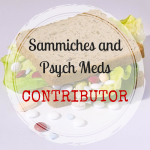 It consumed me completely and at some point I realized that I wasn't healthy and developed a disorder. I'm not trying to compare my experience to yours but I can relate. Thank you! And I'm sorry you can relate, because I know it's not an enjoyable place to be. I'm glad you realized it was a problem before it spiraled too out of control. I hit my worst point in college, but I also had a bit of a relapse after my boys were born. I think it was the shift in hormones and the knowledge that I was once again in control of my own body for the first time in nine months. My ED was always about control. I hate this so much! Even though it’s quite old now I still see it all over the net. Please don’t speak for all the skinny mothers! As a skinny mother myself I can tell you that I have zero idea how to even count calories, and if I did I wouldn’t have energy or time to have a head full of numbers for things like cookie crumbs and whatever else. 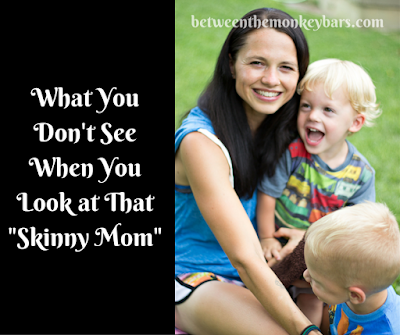 This is exactly what people assume skinny mothers are thinking and doing! Please don’t assume that because you are fighting to be a body type you aren’t, that there aren’t just as many women out there who fit the “skinny” body type quite naturally. Having children doesn’t automatically change your body composition, metabolism, food preferences and desired activity levels.